The private sector is actually the culprit who is to blame for South Africa’s current economic problems, Mzwanele (Jimmy) Manyi, president of the Progressive Professionals Forum (PPF), claimed on Wednesday. “Government must find a way to tax funds in the private sector. That is the duty of government. The duty of the private sector is to create jobs, but it does not want to come to the party,” Manyi said during a panel discussion at the convention of the South African Property Owners Association (Sapoa). Manyi took on another panel member, political analyst Justice Malala, for the “fundamental error” of insinuating that people are only following the ANC because they are uneducated or uninformed. In Manyi’s view, there is also nothing wrong with cadre deployment if it is “done properly” in order to create alignment with policies and skill. Malala, in turn, emphasised that the ANC still has the power to change the country around if it puts its mind to doing so. In turn, Manyi said one cannot reverse 300 years of apartheid in 20 years. “We sit with unemployed graduates in townships — most are black and racism in South Africa has reared its ugly head. 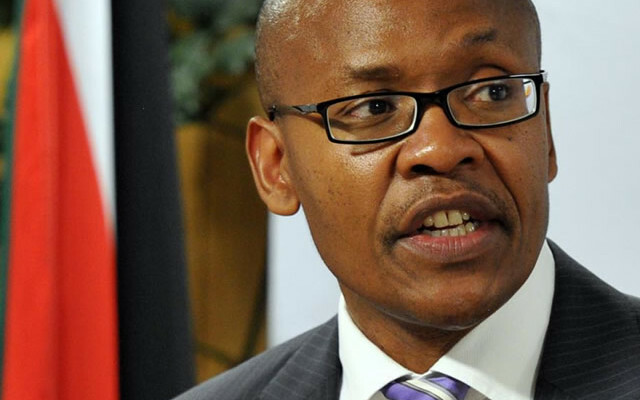 People say it is government that is corrupt, but it is actually the private sector that is still corrupt,” claimed Manyi. He cited as an example the fines issued to companies in the construction sector. For Victor Kgomoeswana, Africa business specialist and broad-based black economic empowerment consultant, politics is about money. Regarding the current violence in Tshwane, he said the key to ending it lies in making the South African economy inclusive, yet he doubts if any politician is going to do that. “It is about addressing poverty, ignorance and disease. It is about good education and healthcare. It would be hard to motivate young people to burn cars and buses if they have jobs,” said Kgomoeswana. He emphasised though that he is in favour of what he calls making BEE workable. Another member of the panel, political analyst Daniel Silke, said that if there is a decline in South Africa, it has been a long time coming. To him inequality is a critical issue, but he cautioned that too often inequality is confused with race and racism in South Africa. “It should be about broadening the pie in SA. Nearly 90% of parliament supports the National Development Plan, yet we have not been able to implement it,” said Silke. In Silke’s view, the ANC has to take “some ownership” for what has been done in South Africa over the past 20 years. “If half our school learners drop out before finishing school, it cannot just be apartheid’s fault. There has been a reasonable period after 1994 to implement credible policies, but the ANC policies have failed the poor,” said Silke. The last member of panel, satirist and social activist Pieter-Dirk Uys, would like to see all South Africans leading by example on every level. Jimmy is always good for a poorly thought out soundbite. How is it a “duty” of the private sector to create jobs? In what universe is this a fact? So, Jimmy remains a world class TWIT! He’s running a very close second to Hlaudi and minister Whatsherface! “The ANC has ensured peace in South Africa” – is this a threat Mr Talking Head? “nothing wrong with cadre deployment” – look where that has got us so far. Going by this morning’s news of that STUNNING Brexit victory and the kick in the teeth to our Afrikaans compatriots here in Manyiland (see Afrikaans being phased out of teaching) one would imagine it wont be too long and us whites will also be demanding a Brexit of our own in the not too distant future. Those who like Jimmy M can keep right on with him and his cronies in the ANC, but us whites should now also be given the chance at a PARTITION/Brexit option asap.